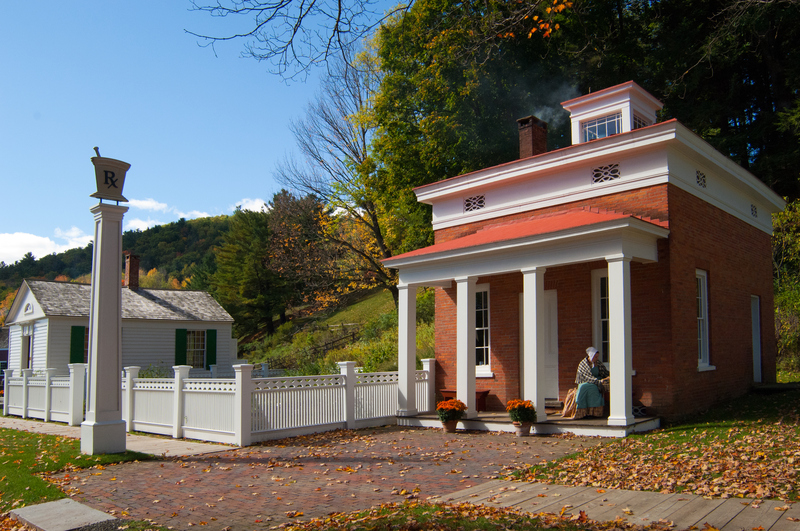 This pharmacy was built by Dr. Paris Pray around 1832 in Hartwick, New York. In 1835, Dr. Freeborn Garrison Thrall took over Dr. Pray’s practice and began using the building to house his medical practice and his pharmacy business. The cupola, a raised skylight on top of the building, was added in 1842. He sold the property in 1845 and began practicing in Cooperstown, New York. The building went through two other owners before Dr. Thrall re-purchased the property in 1848. In the early nineteenth century, pharmacists mixed most of the remedies they sold in their shops. They used many dried herbs, minerals, and chemical compounds that had been purchased wholesale. Although pharmacists and doctors often maintained gardens, like the one outside this shop, for the cultivation and study of medicinal herbs, most of them, including Dr. Thrall, purchased the bulk of their supplies from wholesalers. Pharmacists sold non-drug items beginning in the early nineteenth century in order to supplement their income. Today, pharmacists are specialized, licensed professionals who must complete six years of study before they can begin practicing. More than 99% of medicines sold at pharmacies are already made. Drug stores today look much like they did in the 1840’s, with a wide variety of medical and non-medical products, although our shop reflects mainly the medical side of the business. Dr. Thrall apprenticed under Dr. Almy, a doctor and pharmacist in Toddsville, New York. This apprenticeship was his only formal medical training, which was fairly common for the time. Pharmacists trained through apprenticeship, schooling, or a combination of the two. It took three years of apprenticeship or formal training to become a pharmacist and an additional two years of schooling or apprenticeship to become a doctor. Doctors’ credentials came from local medical societies, which they were required to join. Doctors continued their education through anatomical dissection and medical lectures. Thrall hosted both of these events in the second floor of this building because the cupola provided more ample lighting. Like many nineteenth century Americans, Dr. Thrall had a number of trades. In fact, his greatest source of income may have been land speculation. In the 1840’s, most of the medications used by the pharmacist were created with medicinal plants. A large percentage of the plant medical knowledge used was based on plants that were not native to the United States. This is due to the fact that most of our ancestors were not native to this country and brought with them knowledge and plants they understood. Some examples of these plants include willow bark. This plant came from the Middle East and was used for muscle pain and headache. It is what we know today as aspirin. Another example is Belladonna, a variety of deadly nightshade, which contains a chemical called atropine. 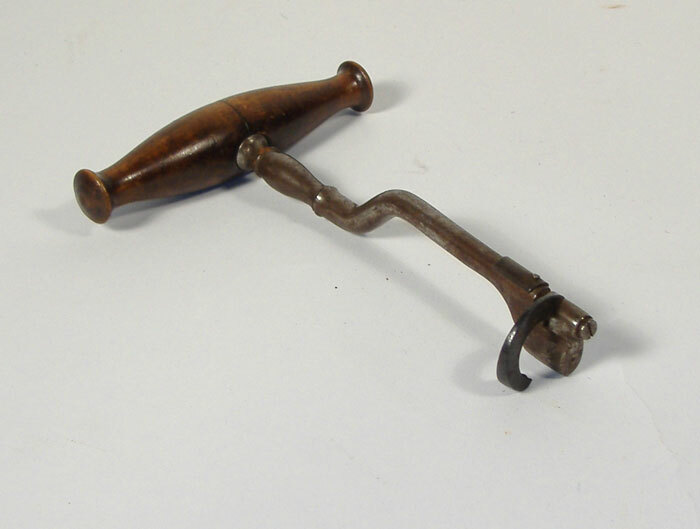 This was used historically to treat respiratory problems as well as dilate pupils for beauty. Today, it is used by eye doctors and is the medicine in asthma inhalers. Foxglove is a plant commonly grown for decoration. It contains a chemical called digitalin. This chemical is made into digoxin, which we now use for strengthening the heart. 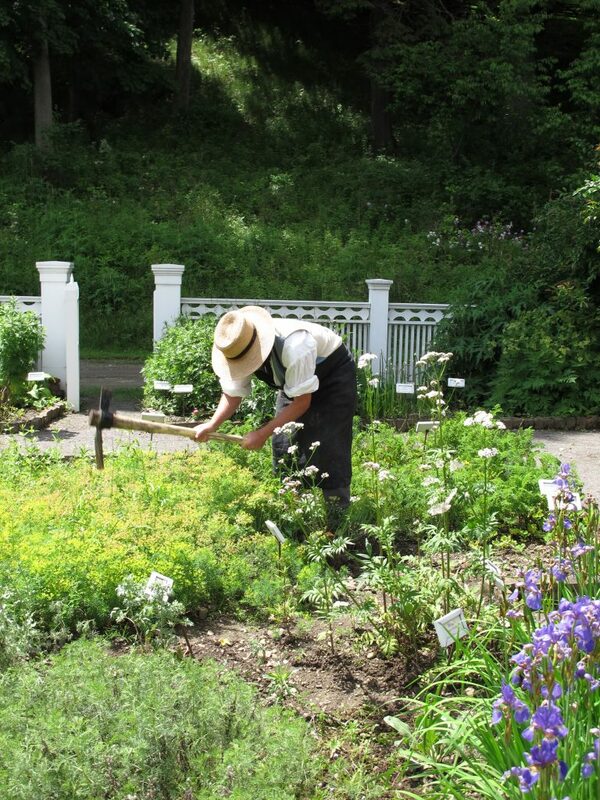 Our pharmacist hard at work tending his special pharmacy garden. Physicians often made house calls to care for their patients. 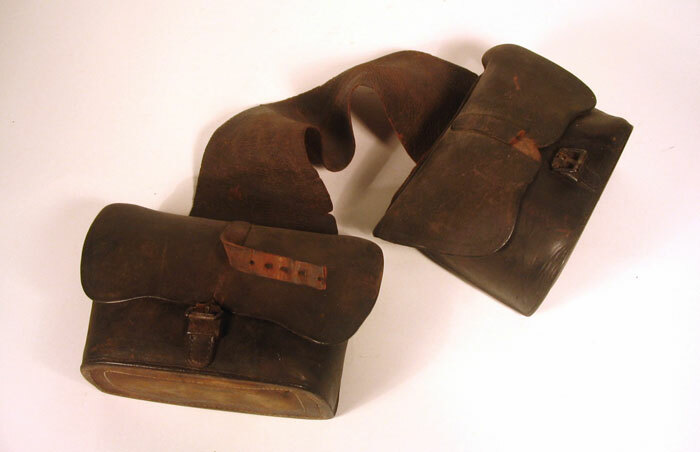 Since many physicians traveled by horseback, these saddlebags allowed doctors to transport their medicines and equipment safely. The saddlebags are made of leather and could be put over the back of a horse or over the doctor’s shoulder. 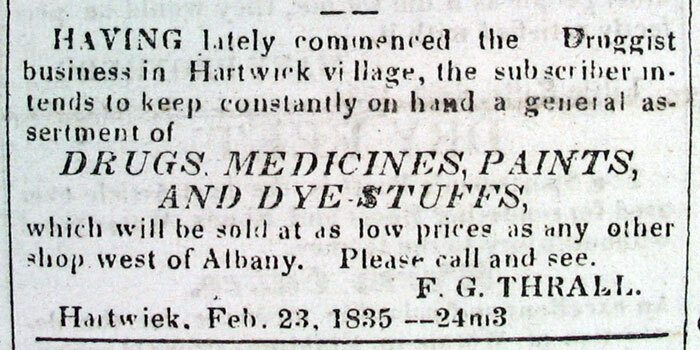 Pharmacists often advertised their services in local newspapers. Freeborn G. Thrall advertised his shop in the Freeman’s Journal in Cooperstown, New York. Like many other pharmacists at the time, and like today, Thrall carried a variety of goods in addition to prescription medications. Doctors and independent pharmacists had to mix their own medicines during the nineteenth century. 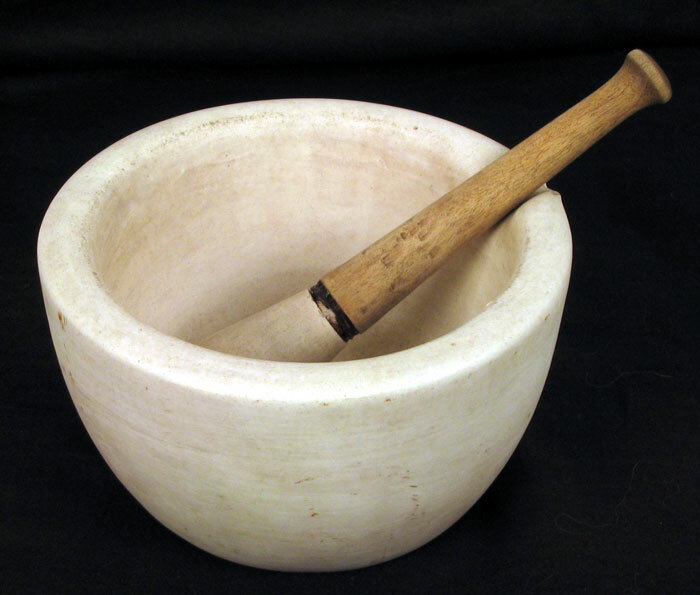 Solid ingredients could be ground into powders and mixed with other ingredients using a mortar and pestle. Powders could be mixed with liquids to make liquid medicines, or rolled into pills and lozenges. 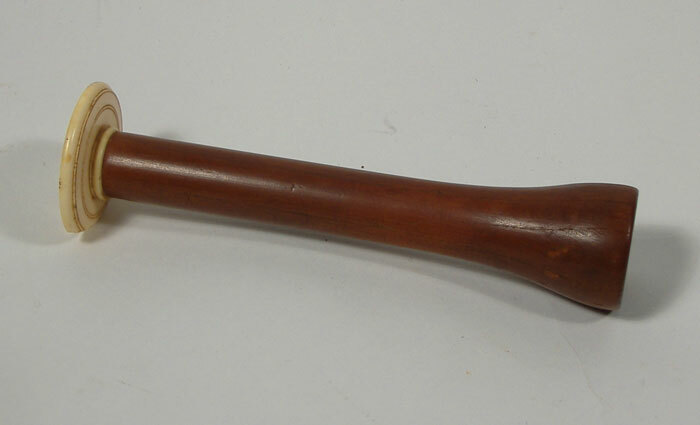 • A small wooden spoon or stainless-steel whisk for stirring. • A small glass jar or other container (e.g., a new or recycled lip-balm tube). • 1 T shaved or chopped beeswax (or beads). • 3 T oil (I usually use olive oil, since I have it on hand, but you could use almond, grapeseed, or another oil). • 1 t raw honey (optional). • Melt the beeswax with the oil over a low heat (double boiler, inside a low oven) or microwave at low power (under careful observation to avoid fires). As soon as the wax has melted, remove the pot from the heat, whisk in the honey. Pour into a container and let set until firm. If the solidified mixture feels too firm, remelt and whisk in a little more oil. If you want a firmer product (e.g., one that will fill and push out from a lip-balm tube, add a bit more beeswax). The process of remelting takes only a few seconds, so you won’t mind the work of getting it right. Once you’ve succeeded with the basic product, you can try new batch using ingredients such as a few drops of a medicinal tincture or an essential oil; cocoa butter, shea butter, or coconut oil for some of the oil; and carnuba wax in place of beeswax. By the way, this stuff also works well to smooth unruly eyebrows, treat chapped hands and moisturize cuticles and fingernails, so you may want to make a bigger batch on your second try.